IntroductionThis website, http://www.stopthecrop.org (the 'Site') is operated by Friends of the Earth Europe (FoEE) and Corporate Europe Observatory 9CEO) ('We' or 'Us'). Your Personal InformationFrom on action or a campaign to another, FoEE and CEO will send you updates by e-mail or use some of your data (signatures for e-petition, videos for action videos…) as supports of our campaigns. If at any time you would like to unsubscribe from our email list, delete, modify or correct the information you gave us, you may do so by contacting us at info[at]stopthecrop[dot]org with the subject heading “Data Privacy”. In accordance with the Belgian Privacy Act of 8 December 1992, you can object, by request and free of charge, to the intended processing of personal data relating to you. In case of legitimate objection, we must stop processing the personal data and, within a period of one month starting from the submission of the request, shall communicate to the data provider the rectifications or erasures of data. If you do not receive a confirmation from us within these 30 days, you can contact the Belgian Commission for Protection of Privacy http://www.privacycommission.be/en/. Our personal data processing operations are notified to this body that can be seized in case of a breach of the agreement made between you and us. Policy makers, world leaders, news publications, and the general public when you sign petitions, complete surveys or share videos. When you give FoEE personal information, we take steps to ensure that your information is treated securely. We will not disclose it to any third parties nor make it public without your consent. We will not store personal information longer than required. When you tick the optional box, we will send you updates by email. If at any time you would like to unsubscribe from our email list, you may do so by following the instructions given in the email. Unfortunately, no data transmission over the Internet can be guaranteed to be 100% secure. As a result, while we strive to protect your personal information, FoEE cannot ensure or warrant the security of any information you transmit to us, and you do so at your own risk. Once we receive your transmission, we make our best effort to ensure its security on our systems. We may share some of your personal information with our database administrators – for the sole purpose of helping us do our work. These groups do not share your personal information or use it for any purpose other than as instructed by us. Affiliated Third Parties – for example, our database administrators – for the sole purpose of helping Us do our work. These groups do not share your personal information or use it for any purpose other than as instructed by us. Third Party Administrators, such as organizations we engage to facilitate large distribution of messages. The content of these emails will be from Avaaz and these third parties do not have direct access to your personally identifiable information. Citizen initiatives, Petitions and SurveysFor citizen initiatives, petitions and surveys you've signed or completed, we treat your name, city, country, and comments as public information — for example, we may provide compilations of petitions, with your comments, to policy makers, world leaders and other targets, or to the press. We will not make your email nor street address publicly available, but we may transmit it to the designated target as part of a petition. This is a standard industry practice in such situations. In no such case will we disclose your email address or phone number, without your permission. We may also make your comments, along with your first name, city and country available to the press and public online. FoEE and CEO are not responsible for the content of use of your email address by campaign targets. Sending Emails Via StoptheCropIn certain cases, we enable you to send individual e-mails to policy makers and other targets through our website. These messages are sent in your name, with your e-mail address as the return address and your full name and contact information is provided as part of the submission. These messages will only be sent out under your name as you approve them on an individual basis using our email tool. You are solely responsible for the specific message(s) you send using our email tool. FoEE/CEO take no responsibility for the content of use of your email address by campaign targets. Newsletters and Articles on the WebsiteFor our newsletters or articles published on our website, we treat the information you may give us (name, city, country, comments, personal opinions, pictures...) as public information – for example, we may publish a full interview you give to us, potentially including your opinion about a political topics and accompanied by a picture of you. This is a standard industry practice in such situations. VideosIn certain cases, we enable you to send video testimonies as part of video promotion campaigns we may organise and use as public information or public awareness tools. CookiesSome parts of the Site are password-protected. We will use a cookie (cookies reside on your computer and are under the control of your browser) to enable you to return to password-protected areas of the website without having to re-enter your password. If you wish to disable these cookies, the help portion of the tool bar on most browsers will tell you how do that. If you set your browser to disable cookies, however, you may not be able to access certain parts of this Site. URLs contained in emails may contain an ID that enables us to correctly identify the person who takes an action using a web page. We use these URLs to simplify the process of signing petitions and filling out surveys. We may occasionally present a shortened URL that references a longer URL which contains an id—we do this to simplify the display, to prevent links from becoming broken when copied, and to ensure compatibility with email programs which do not handle long URLs. When a shortened URL is displayed in an email, you will see the full URL in the browser's address bar when you access the page. 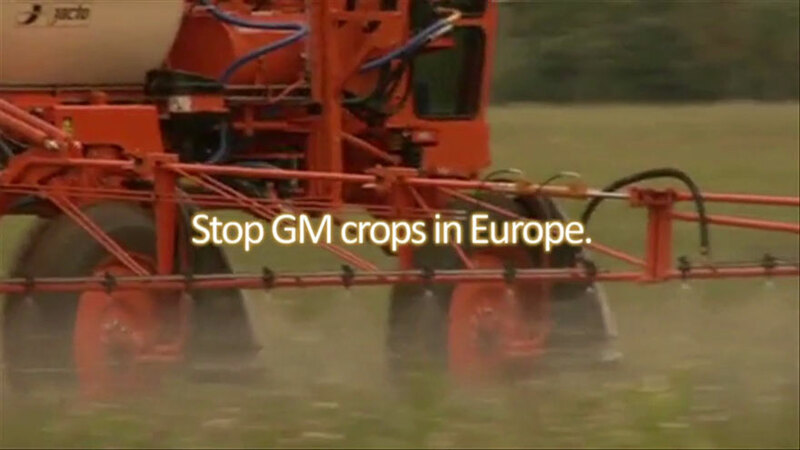 Email from StopTheCropFoEE/CEO may send you updates on this and other important campaigns by email. If at any time you would like to unsubscribe from our email list or if you would like to stop using your contributions for our campaigns, you may do so by emailing complaints at info[at]stopthecrop[dot]org with "Data Privacy" in the subject heading.